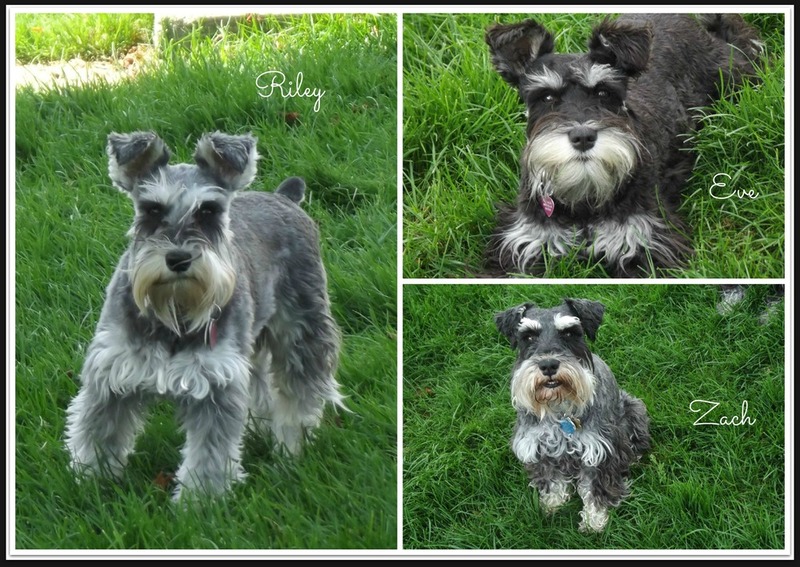 Here are the most recent pictures of my Schnauzers from your kennel. Zach turns four this year and he has been just the best dog! He has an excellent temperament and is stunning. Riley turns two in about three months and she is a spunky delight. Riley is also one of the beautiful Salt/Peppers ever born! Eve is gentle and loving... she turns one in just a few months.